Why Is Fiber Optic Internet Faster Than Copper? MTE Answers: Why Is Fiber Optic Internet Faster Than Copper? Since its introduction, fiber optic Internet has been lauded as an innovation that would push broadband speeds forward significantly. Years later, we find this prophecy fulfilled, with Internet connections equaling 100 Mbps in downstream speeds, many of them reaching speeds much higher than that (i.e. 1-10 Gbps). What most people don’t understand, however, is why these speeds are achievable in fiber but not necessarily practical in the old copper infrastructures we relied on for decades. Perhaps this is something we need to discuss in order to fully understand why fiber optic Internet is so beneficial to consumers and businesses. I can’t just go out and tell you why fiber optic connections are faster than whatever copper can provide without giving you the details of how each one works. Both of them have one important thing in common: They send signals across a particular distance. However, the way they send this signal is different. Have you ever seen those lamps used at parties that have strands of glossy “hair”? When you turn on the lamp, the ends of each strand lights up, yet everything that’s not the end remains unlit. Copper communication works by sending electrical pulses through a copper wire. It’s that simple. The power of the signal dictates how much of it will be retained by the time it reaches its destination. At the destination (e.g. the router), the wire’s electromagnetic field is constantly monitored for changes. As the field gets stronger, the destination registers a “1.” If it dips below a certain measurement, a “0” is registered. Copper cables must have several wires built in to accommodate the mechanisms that allow Ethernet routers to properly process signals. Copper suffers from a significant signal-loss issue. To accurately read a signal, you have to know the exact moment the signal has stopped and the exact moment it began. As a signal is forced to travel farther, the difference between a start and a stop (zero and one) gets very fuzzy. Copper is best used for maintaining a continuous electrical current since it’s a great conductor. However, for signalling, it remains a very poor material. It’s still great for local networks, but not necessarily something we should be using for global communication infrastructure, considering that Cat6a copper cables can lose 94 percent of their signal at 100 meters distance (this is the industrial maximum for signal loss through copper). Researchers have recently been able to send data at 10 Gbps through copper, but at distances no larger than 30 meters. Fiber, on the other hand, can theoretically send terabytes per second of data without so much as a 3-percent data loss over 100 meters. Two things are at play here: the signal retention and signal clarity. Not only do you absolutely know when the signal began and ended, but you receive a very strong signal across the wire. This allows communication at dizzying speeds so fast that most routing technologies still can’t process them fast enough. Through the signal’s lifecycle, fiber does another very important thing: It protects the signal from any electromagnetic interference. EM fields can influence how copper transfers data, but since optical fiber is made of extruded silica, it’s magnetically neutral. If you would have a perfect cable (there’s no such thing yet), you could theoretically send a signal across the United States without making any stops along the way. Fiber is cheap, plentiful, easy to upgrade, and very reliable. There’s really not much to say against it. Copper no longer represents a worthwhile investment and should be retired. If you still have questions about fiber vs. copper, please leave a comment below! Early in fiber transmission days I made what I think was the false assumption that each fiber carried a separate signal. I now assume I made that up in my mind and that all of the fibers in one cable participate in carrying the same data. Am I now correct. Jim, your initial conclusion is (mostly) correct. One fiber contains one (usually) data stream. but since data needs to flow both ways, two fibers are typically used to make one circuit. There are some circuits that combine both in one fiber, but there is a lot of overhead and this is rarely used. 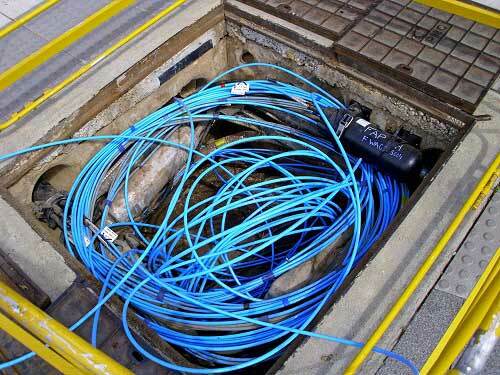 And a fiber bundle would contain multiple circuits on pairs of fiber. Now for the fun stuff. 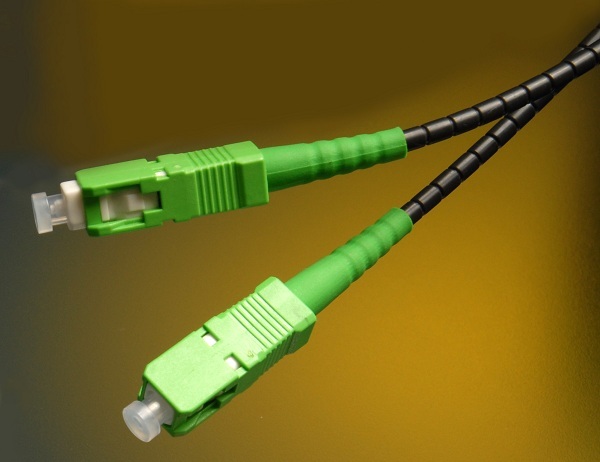 In addition to the fairly standard data multiplexing, fiber supports frequency multiplexing. Different transmitter/receiver pairs, on different wavelengths (colors) can happily coexist on a single fiber. 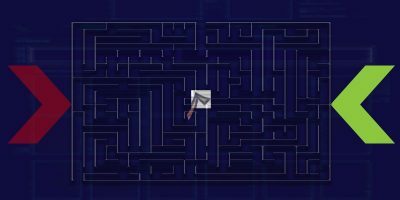 Between fast electronics, and multiple frequencies, researchers have achieved data rates that would permit transmitting the entire contents of the Library of Congress in two seconds. Jet this answer is theoretically not complete. When I started with fiber for 20 years ago the industry limited themselves to only use one color signal. It is technically possible to use all three core colors (red, blue and green) to have 3 data streams. You may call this wave lengths but it is basically a carrier for the real signal to transmit. In each data stream you have loads of bands each carrying their own signal. Why only 3 colors. 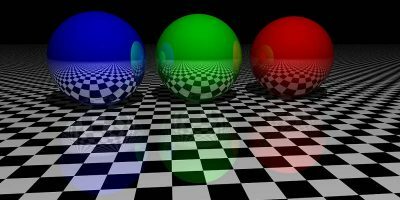 They are the basic colors on what all other colors are made of. Should we use i.e. Yellow we may interfere with the two colors that make up this color. What I miss in this whole description is the speed of the signal. Each light signal travels with the speed of light. It IS light that is the signal carrier. 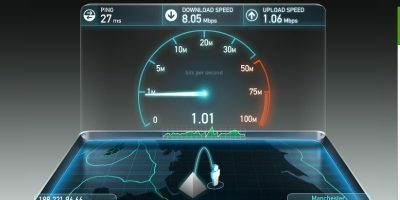 The speed may be a bit lower that the speed of light trough the air as we send it via glass fibers. And it is this technology that makes the difference. Via copper we have to deal with electrons “traveling” through the material what limits us in the distance as the signal is weakened due to the material. Light signals are waves that travel through in this case glass. How fast the signal weakens depends on the clarity of the glass and on the quality of the connections of each section to the next one. The last I heard was that old fashion TVs illuminated the screen by hitting a phosphor coating on the inside with a beam of electrons that had been positioned by magnetic fields. 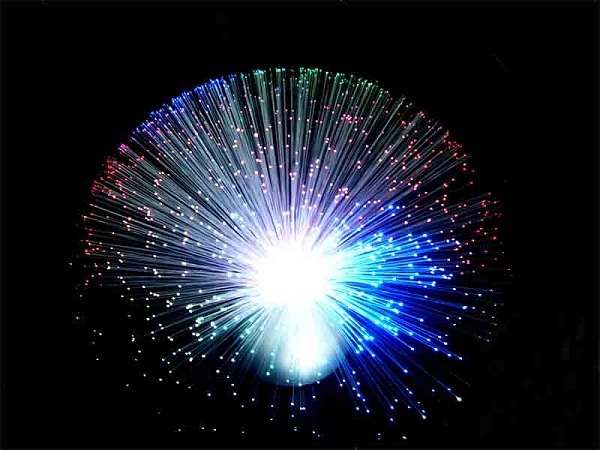 Fiber optic cables use light which is a collection of photons that have essentially no mass, and absolutely no charge. Without a charge and therefore no magnetic field, photons cannot be bent by magnets. Electrons have mass, and a charge, and a stream of electrons responds very well to a magnetic field. One of the values of fiber optic over even well shielded copper cable, is its total insensitivity to EMF. Can you plug a fiber cable into a PC yet? how expensive? The Intel X520 DA2 sold at HP’s online store has two 10Gb ports and is priced today at around $550. 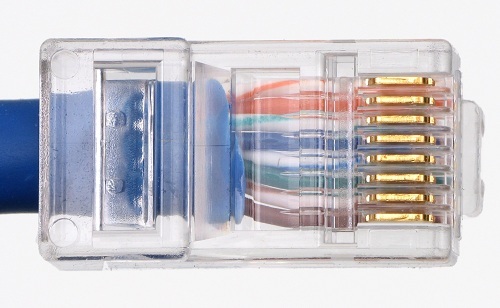 StarTech sells a multi-mode fiber card that can send 100 Mbps across 2 km, for $112. Yes, it is expensive, but I’d expect it to get cheaper over a short period of time as fiber becomes more popular. After all, the only thing you have to design a network card to do is flash an LED bulb or a laser. Are Dark Themes Really Better for Your Eyes and Battery? 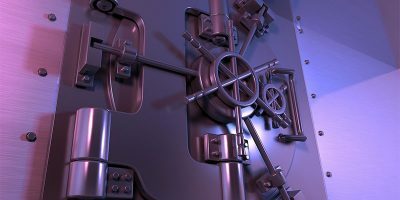 How Secure Is Your Stolen Encrypted Data? 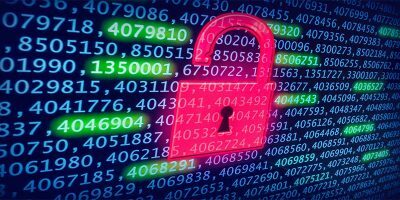 Why Do Data Breaches Happen So Often? What Is "Ping" and How Does It Affect the Internet? 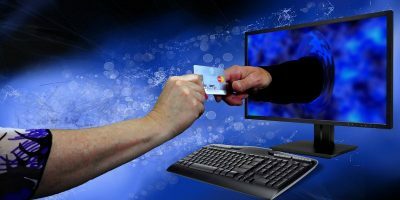 Affiliate Disclosure: Make Tech Easier may earn commission on products purchased through our links, which supports the work we do for our readers. Receive update of our latest tutorials. What Is “Ping” and How Does It Affect the Internet? 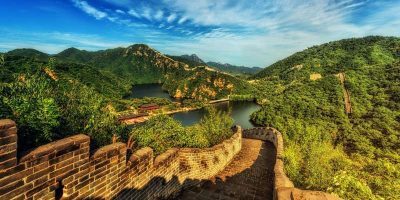 What Is “The Great Firewall of China”? 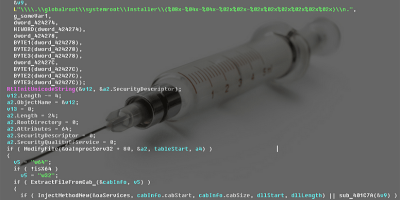 How Does Code Injection Work? © 2007 - 2019 Uqnic Network Pte Ltd. All rights reserved.